It’s certainly a great start to write them down, but if you don’t dig deeper, they’re unlikely to happen as quickly and completely as you’d like them to. I’m sure you’ve read plenty of information on how to improve your goals: add emotional value, use visuals, expand on the feelings you’ll have when you achieve the goal, look at them more often, etc. And all of those ideas are great, but if you’re not in FULL alignment with your goal in the FIRST PLACE, you’re basically wasting your time. Remember, alignment isn’t just a surface, conscious alignment. You need to be aligned on all levels. You need to address your “what ifs” and “buts” about the issue fully. Here’s a process with Tapping to help you. This process involves having a general understanding of the Tapping protocols. If you’re new to Tapping, take a moment to review the basics of EFT Tapping. Remember, the more issues you address around all aspects of your goals, the better your results will be! Perhaps commit to working on one goal or issue a day for 30 days and see what happens. With this process, don’t worry about getting it right. Whatever language pops up in your head first, that’s the right language. But DO make sure to write it down. Are you 100% in alignment with it? How does your body respond to reading it? Be specific in your notes and give every feeling a 0-10 rating. So if you’re feeling anxious as you read the goal, write down, “I’m feeling anxious” and then put a number of its intensity next to it. “8” for example. You can write down more than one emotion or feeling. Be as specific as possible. Do you feel tension in your stomach? Write that down. So if you think about sharing your goal with your mom, and you picture her saying, “That’s a silly idea…” then write that down, PLUS how you FEEL about her thoughts. Be specific and assign them a number of emotional intensity. Step 5: Systematically tap OUT all of this RESISTANCE and tap IN, positive feelings & expectations! Go through each item that brought up an emotional response, and tap on it until you bring the feelings around it down to “0” or a low number. Be sure to keep note of anything else that comes up through the process. You may not be able to do this in one session, so take your time with it. When you have tapped through all the issues (and make sure to keep digging for more hidden ones), you’ve then cleared the way for your goal to become a reality! Let’s go through one example of what this might look like together, so you can tap along. Step 2: How do you FEEL? EXAMPLE: Looking at this, I get a little nervous. There’s a sinking feeling in the pit of my stomach, and pressure around making this work. When I close my eyes, I feel this sinking feeling at a 7. When I ask myself what this feeling is, it’s anxiety. I’m going to do some tapping on this now. Karate Chop: Even though I have this sinking feeling in the pit of my stomach, I deeply and completely accept myself. Karate Chop: Even though I have this sinking feeling about making $250,000, I choose to relax now. Karate Chop: Even though I feel uncomfortable in my body when I look at this goal, I deeply and completely accept myself. Keep on tapping around the meridian points on whatever comes up until you bring it down enough to find some relief and feel ready to move on to the positive. EXAMPLE: If I told my friends I wanted to make $250,000 a year, half of them would laugh at me and the other half would tell me I was being greedy. When I think about telling my friends, I just feel small and not confident at all. This feeling is at an 8. Karate Chop: Even though I don’t feel confident telling my friends about my goal, I deeply and completely accept myself. Karate Chop: Even though I don’t want my friends to know my goal, I deeply and completely accept myself. Karate Chop: Even though I know they’ll judge me if I tell them my goal, I deeply and completely accept myself. Keep on tapping around the meridian points on whatever comes up until you bring it down enough to find some relief and feel ready to move to the positive. Side of Eye: I chose to feel big! Top of Head: Feeling strong and confident! Seriously, the KEY on this process is to get specific on your issues, on your feelings, and to be SYSTEMATIC about it, going through all the different ASPECTS of the issue. I’d love to hear your results! Please share them below! Hi Nick, thank-you so much. Going through the reading I realized I forgot step 3,about what others may think about my goal. I’ve been doing tapping on my goal for 1week now. I missed a day in between though. I used to tap to release cravings, I never used to feel the impact mainly because I never used to use words. I realise there’s a big difference if tapping using words. I have been using the law of attraction for over 2yrs and just stumbled on EFT recently, after I needed a means of clearing multiple limiting beliefs I have lived with almost all my life. I have used EFT on little immediate emotional issues and I’m amazed at how effective it has been. I’m so excited to begin this technique. Thanks alot Nick. My dream right now is helping my dog come over his trauma of having been mistreated and abandoned when he was a puppy. Today it’s been six months since we rescue him and he still has separation anxiety. I’d love to help him. I believe it is a great tapping exercise. I would love a comment from Nick about the difficulty I have with the doubt aspect, perhaps that is fear I don’t know. Is the repetition the best thing I can do?? Great to have this tapping available, feeling emotional just writing this. Its the only course on self improvement that I have actually cried! Its definitely hit a nerve! So, I’ve started the process of actually writing down my goal and feelings around it. Although I feel its going to be impossible to achieve this one goal that I have set myself, I’m tapping all my negativity out! Feeling good & looking forward to the change in my life. Thank you Nick for all that you have given to me. BEcause I do not do Facebook I have been unable to leave a message. I have purchased two programs already from you and looking back I believe that it has been the best investment that I have ever made.. I am totally hooked even though I am a total skeptic . HAving been a Shiatsu Therapist it makes total sense. Seriously amazing! Just reading thru this as an email before even actually trying it already inspires me to take my financial-feelings issues and tap on them as an ongoing life project, a little every day, until negatives are uprooted and positives substantially replace them! The main issue is money but I would think that anybody for ANY main issue would love this manifestation outline! I loved this! Thank U. I was at a 9/10 on everything. After a couple rounds, I was down to a 2. Wish everybody knew how vital tapping is. My own changes started in just two days,i was suprise when it first started. I really notice the difference between the past self and my present self.My business is moving from levels to levels. I’m from Africa where people don’t believe in these things. But i think it deserves a %1000,not %100. I love Nick Ortner and my next goal will be to meet him. Love love love how my wonderful life is working out due to listening to Nick, Abraham Bentinho. Should you ever include the solar plexus when tapping. just once. Like yoga…I didn’t have patience with it. Lol. Hi Andrea. We are happy to hear you are interested in trying tapping again. Although the tapping sequence that we use doesn’t use a point on the solar plexus, you can find other tapping sequences or tapping point suggestions. Follow your intuition on what feels best to you. We wish you all the best! Thank you ! It is so very helpful to have a specific guideline like this. What I need is to figure out exactly what my goals are. I’ve been unemployed for over a year. I need income, but I’ve come to hate the office jobs I’ve been doing for decades. I don’t know what else I want to do or can do. I’m also an insomniac. I need sleep. Regularly. Nightly. That’s something specific I can work on. But I feel lost and useless, generally, in my life. I don’t know what I’d tap for, specifically, to make myself feel better. I discovered tapping a long time ago (maybe ten years or so?). I know it works. When I have anxiety (about my situations), I can take care of it with tapping. I’m thankful I have this resource. Thanks for sharing your knowledge and for the encouragement. Yes, getting clear on your goals is an important step and getting the sleep to feel your best is so important as well. We have some other resources about those two topics that you may find helpful. Here are the links: http://www.thetappingsolution.com/blog/goal-setting-q-and-a/, http://www.thetappingsolution.com/blog/deconstructing-a-goal/, http://www.thetappingsolution.com/eft-articles/a-new-way-to-use-eft-for-getting-to-sleep/ and http://www.thetappingsolution.com/blog/deep-restful-sleep/. I hope those help. We wish you all the best! Message for Rosanne Feneley: a wise teacher once told me you don’t need to know it all to begin. The knowing comes from sharing. Assuming it will take ‘many years of study’ to realize a dream is after all just another belief, that if it dis empowers you, is worth considering if it’s a keeper or not. Message for Sue Crawford: try making a recording in your own voice reading the above dialogue and listen to it through the tapping. Listening to your own voice is very powerful. Hope that helps. Another turning point for me! I had previously worked on self-belief in relation to my business and was able to manifest a belief in myself which felt and still feels great. This article prompted me to look more specifically at earning potential, work-life balance and the success of areas of my business. My belief around these apects was not aligned with my goals and now it is plus a thought of not deserving came up…wow! I actually felt a vibrational shift in my energy having completed the tapping. Dear Nick, What if the only goal one wants is to see someone else happy? I love your step by step process but I wish it was in a video. I can’t write, read and try to tap all at once. I loose the concentration. I signed up for the 2016 Tapping Summit and loved every minute of it and I have been listening over and over again to the presentations but now I need to take it further. The videos are extremely helpful. Wish I had a place to go to get more guided tapping. Thanks for bring Tapping to all of us. I believe it is the future of resolving all of our issues. I am starting the 30 day eft work out so here’s to huge results! You are so good at giving. So you are very successful! It is truly nice to know someone like you existing on this earth. I will try this. Hope this works. I have several goals. 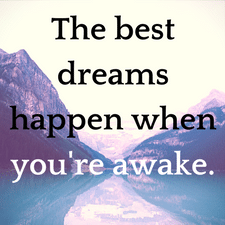 I became aware of one that I have been seeking but the opportunity was not available until I noticed that opportunity early morning (when most people are sleeping). I found that the process of stating the goal and the feelings surrounding the goal had many thoughts of “what if”. I continued with the process outlined through tapping. I decided that within the next 24 hours, I will at least put my shoes on and walk through the door regardless of the outcome. I appreciate EFT very much and find myself getting in touch with deeper layers that I am ready to deal with and let go of. I appreciate the opportunities that have come out of the program on an individual growth level. I am recommending tapping to my friends and family. I was even able to do some tapping with a person who is normally defensive to suggestions. That person, about 1/3 of the way through started tapping with me. With love and peace! I want a job making $12.00 hr. in Johnson County where I live I know I’m worthy of it, but I just can’t seem to be able to believe in myself enough. I use the excuse that I’m too old (60) and employers want young people. That excuse is starting to get might old. I feel tension in the back of my neck and shoulders. I deserve a job closer to home making more money and I want it NOW! I’ve successfully released the sinking feeling in my lungs & anxiety around my (outrageous) goal. Now, I’ll let myself think clearly as to the pros & cons of running with this goal & whether it’s still right for me to aspire to at 55 years age – there is an unsung song within me, I’d like to realise. However, it will take many years of F/T study to make it a reality. Now, I’m in a better space to reflect on it again. So I can look at it more clearly & with certainty my intuitive mind will help me make the final clear-headed decision. thank you so much Nick……. I will be reached my goal through tapping . i love to do tapping daily. You are my spoon full of sugar, my magic wand. Thanks to you I cross rivers on daily basis. I didn’t even know I had all that bs hidden inside. Thanks to you I’m cleansing everything out bit by bit. Thank you with all that I am. <3. Before I do the actual exercise., I am very pleased and I believe I am going to improve a lot.